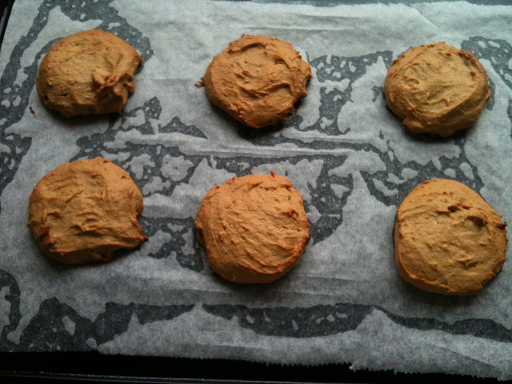 Peanut Butter and Banana Biscuits fresh out of the oven. I made these Peanut Butter and Banana Biscuits because I had some very ripe bananas in the kitchen and didn't want to throw them away. 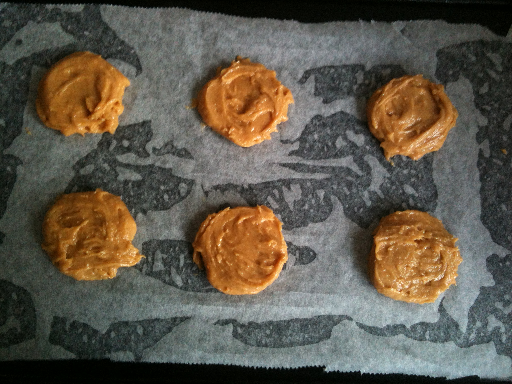 So I went on a search through the internet for some paleo biscuits with banana and came across this recipe from Inspired Edibles which I adapted into my version of Peanut Butter and Banana Biscuits. I love peanut butter, I love bananas, I love honey and I love cinnamon which is a great anti-oxidant and add it to any sweet recipe where I can. This is a such a great recipe. 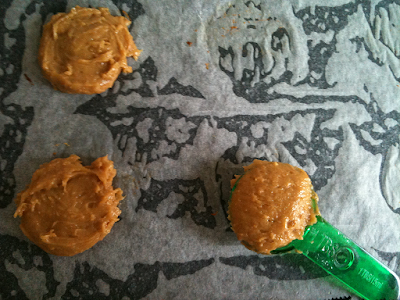 It makes lovely, fluffy chewy biscuits which are super healthy and super good for you. They are easy to make and before you know you will have 16 beautiful biscuits sitting on your bench and then gone once you turn your back! Always a good sign. Turn oven on to 160C/325 F.
Line a baking tray with baking paper and place biscuits on the tray with a rounded tablespoon to make them even in size. Bake for 20 - 25 minutes. I went through three trays which made about 16 biscuits. 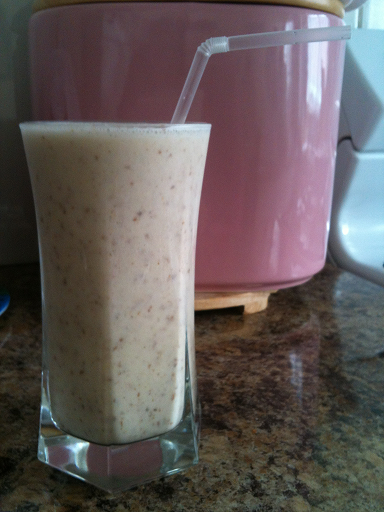 How delicious does this Honey Banana Flaxseed Protein Shake look? Don't you just want to reach out and grab this thick, fluffy, smooth, cold glass of shake and drink it down in one go? That is exactly how I feel every time I make one. This is incredibly delicious, sooooo good for you and very filling. You won't eat for a few hours after you gulp down this beauty. Don't believe me? Try it for yourself and let me know how you go. Place all ingredients in a food processor. Blend until all ingredients are well combined which is less than one minute. Pour into a glass and enjoy. Too easy! 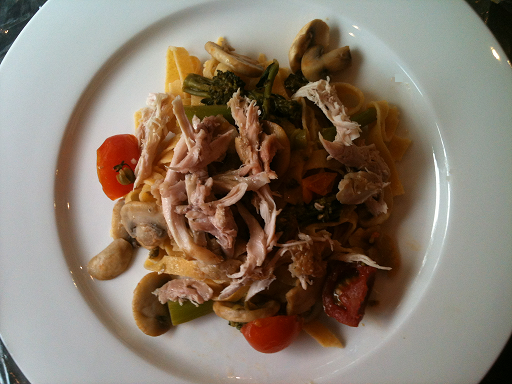 Chickpea Pasta with Chicken Mushrooms, Broccolini and freshly cut Tomatoes. 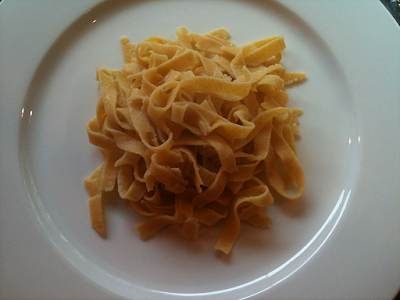 It is easy to make homemade chickpea pasta because it is exactly the same as making normal homemade pasta but you are just changing the type of flour you are using. 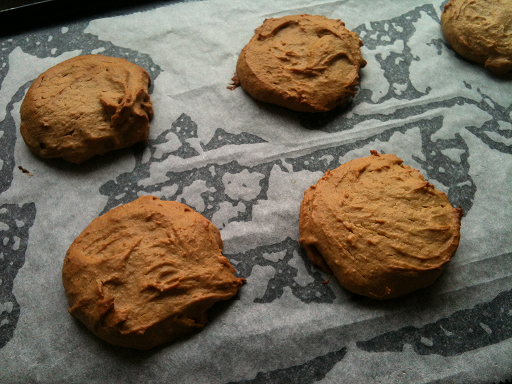 Chickpea flour is gritty to the touch but don't let that put you off. Once you cook it the taste and texture if you can roll it out thin enough is the same as normal pasta. It all takes a little practice but the results always taste good. Just substitute wheat pasta with chickpea pasta and no-one will ever suspect the difference. Chickpeas are also know as garbanzo beans and the flour is either known as chickpea flour or besan. Who knew being on a grain free diet could be this good! Place all ingredients in a medium sized bowl and mix together using your fingers until a dough forms. Turn out onto a lightly floured surface and knead for 1-2 minutes until the dough is neither too sticky or too dry. Don't stress too much about this step as the pasta will still work but it best to try and get it to the right consistency. It's all trial and error. Dust the sheet again and pass through the pasta machine reducing the width between the rollers by one. Repeat the process by adjusting the roller width. I managed to get it to six but it is very delicate at this stage. It you can only get it to five that is fine too. 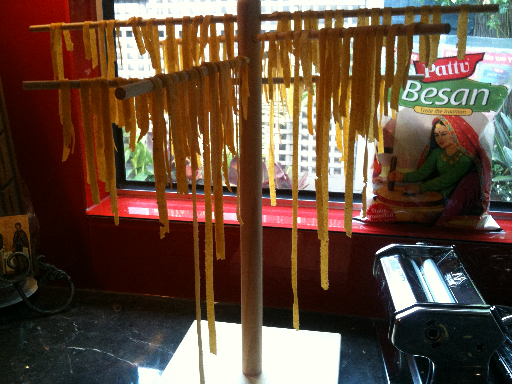 Then put the pasta through the rollers for fettucine and place cut pieces on a pasta tree until ready to cook.